Look, anyone surprised by Adobe supposedly killing the pro version of Lightroom (now named Classic) and launching a cloud version hasn’t been paying attention. There’s so much going on in tech, photography and the world, in general, I won’t blame you if you haven’t noticed. I did because it’s my job and I’ve been using a prerelease version of Lightroom CC for a couple of months—it’s great, you should totally get it, but not for old-school studio use. From a shoot last night, during which we transferred photos to our phones with WiFi. What you need to know is that I use Lightroom CC for my travel and creative work. For the more intensive stuff, with thousands of frames and manipulating gigs of data, it’s Capture One Pro. It doesn’t matter what Adobe does under the hood to Lightroom Classic, as long as the windows are modal between Library and Develop, it’s unusable for me. That’s the reason I switched to Capture One and will continue to use it. I’m already subscribed to the Creative Cloud for Photoshop, and Capture One round-trips with it perfectly. If I’m in there doing client work, great, but if you shoot on the go, like I do, then Lightroom CC is a significant and recommended upgrade for all the reasons Adobe shared this week. 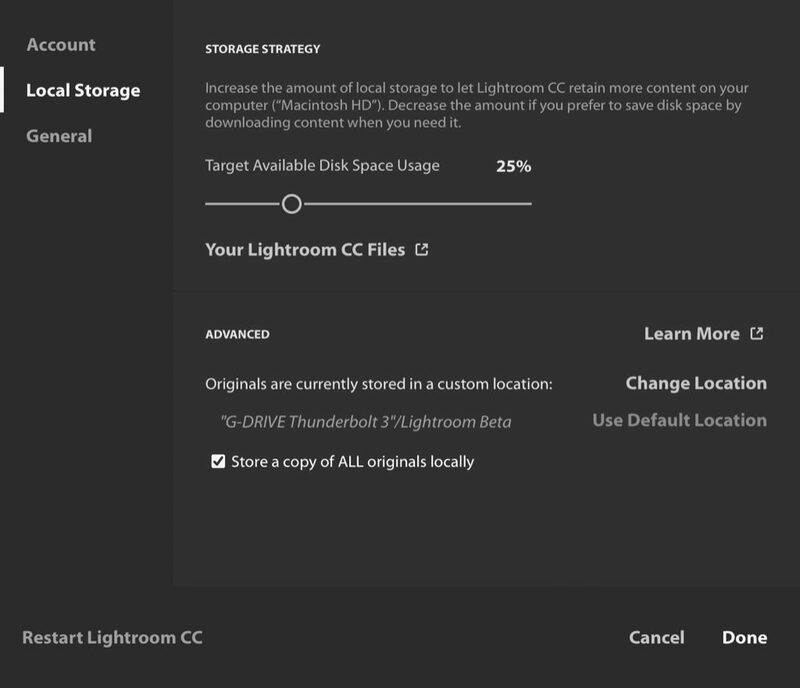 Lightroom CC is intended to work as Adobe expects us to, with our devices and using the computer as a terminal. Also, wait for it…Lightroom CC expects a future without the DSLR and with a modern workflow. It doesn’t account for HFR shoots unless you have unlimited bandwidth. True disruption in tech happens about every 25 years, and the last one with cameras was autofocus. Now, it’s mirrorless, including the camera in your phone. So Adobe has built a consistent and replicable experience across all your devices, anticipating how we work today and, more importantly, tomorrow. Here’s an example: Unless I’m testing the high frame rate of a camera and bursting shots until the card fills up, I capture just a few select shots and transfer those to my device with an on-board WiFi app. Then, if imported into Lightroom (and in RAW), I now have a versioned file available to me everywhere. What a time to be alive and taking photographs, right? Again, because it’s in the app and desktop with a reliable sync engine. Here’s another example. You know how the new Touch Bar MacBook Pro doesn’t have an SD card slot? Well, my other Macs do, and if the ports are full on the Touch Bar Mac, I’ve found it easier to just ingest the card with one of those into Lightroom CC, and then a few seconds later, they’re in my cloud library. While I don’t use Classic and don’t recommend you do, either, it’s not going away anytime soon. If there’s anything really to be upset about, it’s that Adobe’s CEO acknowledged it runs slow, even on fast machines. So, at most, Classic is now not quite as slow and there’s one tool added. 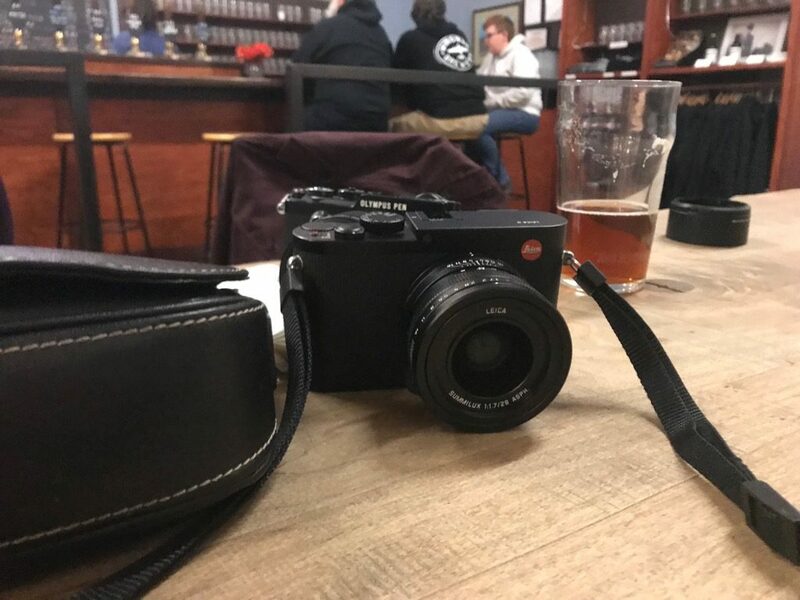 I also recommend you upgrade to mirrorless cameras. If you’re upset about Classic, it’s probably really time to think about your next camera and to understand technology isn’t waiting for you, most definitely not after several product cycles of mirrorless cameras, with more coming. As an Adobe staffer told me, “The truth is in the cloud.” That’s where you should know your most recent changes are, no matter where you’re working and with what device. Still disagree totally with Adobe and me? Then also know there are alternatives like Capture One, setting up your own cloud with photo management and the just-announced Alien Skin Exposure X3. The 1 TB Lightroom CC costs $9.99 per month. The 20 GB Creative Cloud Photography Plan includes Lightroom CC, Lightroom Classic CC, Photoshop CC, Adobe Portfolio and Adobe Spark (unlocking premium features), and costs $9.99 per month. The 1 TB Creative Cloud Photography Plan costs $19.99 per month, and existing Photography Plan customers can pay $14.99 per month to jump to the 1 TB tier. The 100 GB Creative Cloud All Apps Plan is a buffet of Adobe apps for $49.99 per month. The 100 GB Lightroom Mobile Plan is $4.99 per month. As enthusiastic as I am about Lightroom CC and more than ready to abandon the traditional desktop, I have a few gripes. The first is not being able to sync presets. I’m guessing that must be really hard to do, or we’d already have it. Adobe Lightroom CC also doesn’t permit you to save the originals to a networked drive. I guess that’s to prevent unsync-ed changes? If so, I’m not syncing the files there, just keeping the originals myself, because I back up everything.